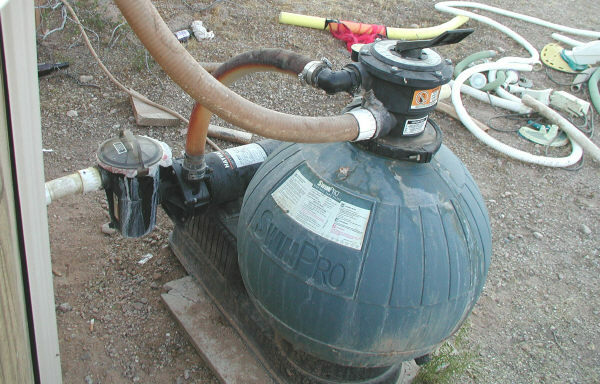 In this section of above ground pool Q and A I write about topics like where to store your above ground pool equipment, chemicals for your pool and installing an above ground pool on concrete. For a complete list of questions about above ground swimming pools visit the questions index page. 29. I can't hear the stereo when I'm under water, what can I do? There is only one answer, underwater speakers. 30. What is the best way to light my pool? There are three types of pool lighting that I know of. The thru the wall lights for above ground pools are the most popular. The light replaces your existing pool return and acts as a pool return, water flow director and light. The second option is the over the wall version. You simply mount it under any top rail and it does a great job. They are usually less expensive and a lot easier to install. The newest method to come out are the floating solar lights. Being the least expensive and what looks to be a great idea it sure gets my vote. It looks like a great safety feature. Surround your pool with some solar yard lights and toss a couple of solar floaters in your pool, now that's romantic. 31. 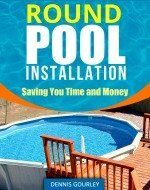 Can I install an above ground pool on concrete? Yes, that is usually a very nice way to go. Hopefully your concrete is level. If not you will need to shim the low areas. Placing the pool on concrete will give you a nice smooth bottom and means you will never have to worry about vegetation growing thru your liner. There are two things I consider a must for this type of installation. The first is preformed pool cove. These are wedge shaped 4' lengths of Styrofoam. They cover the bottom rail of the pool around the outer edge. The second is some type of pool pad for the liner to rest on. Indoor outdoor carpeting works fine, or felt or the pool pad sold by some dealers. 32. How should I store my pool equipment? Hoses, (vacuum, cleaner and backwash) chemicals and test kits should be kept away from children, pets and sunlight. A nearby shed works fine or a storage area built into your pool deck. If nothing else get some portable pool storage and get more life out of your pool equipment. For the long poles used for vacuuming or rescue devices you can get pole hangers and mount them on the sides of oval pools or a nearby wall. 33. Can I get something besides a plain blue liner for my vinyl pool? 34. What type of chemicals should I use in my above ground pool? My method is really quite simple. I use a floating chlorinator filled with 3" tablets. By using your test kit every day for a short while you will find the perfect setting on the adjustable ring. Every couple of weeks the chlorinator runs out of tablets. At that time I put a bag of vinyl shock treatment into the skimmer and more tablets into the chlorinator. If the pool ever gets cloudy or green I add vinyl shock treatment and let the filter run for a couple of days, or until the water clears. I have found water chemistry to be very simple with vinyl pools. That is pretty much all I do but please remember I am not an expert in chemicals or water analysis. If you have someone at a pool store you feel you can trust then their advice is probably better than mine. But I always find it amazing the types of chemicals salespeople will try and sell you when all you need is a bag of shock it and to let your filter run a couple of days straight. Hundreds more above ground pool questions are answered in the ask the pool pro section. Your pool questions are more than welcome.